This is it! The mighty Lamborghini Aventador SV. At KI Studios, we took to the task of protecting every exterior inch of paint and carbon fiber with Xpel Stealth Protection Film. This is a satin grey Lamborghini Aventador LP 750-4 Superveloce. The car is already allocated to a customer of O’Gara Coach La Jolla. 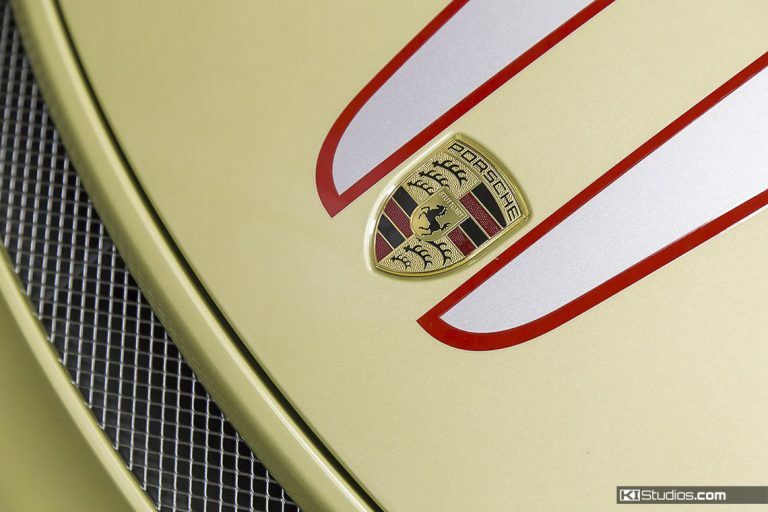 This is a car that is worth well over a half-million dollars at the time of this writing. The exterior is composed of a perfect blend of satin grey paint and satin carbon fiber. Every inch of the exterior of this car needs to be be protected. O’Gara had us install full body clear protective film to aid in keeping the paint and carbon pristine. The film of choice is Xpel – Ultimate for gloss and in this case Stealth for satin. Xpel Protection Film protects against rock chips, bug acids, salt, oils, gravel, tree sap, bird droppings and magnesium chloride. On a car as high-end as this Aventador (and many others of course), protection like this is invaluable. 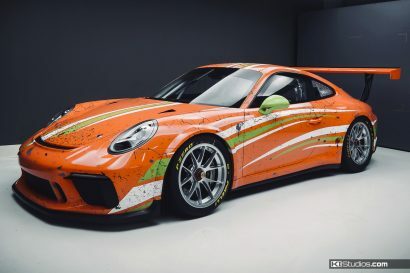 One of the best features is that the wrap is self-healing, so even when it takes a scratch for the sake of protecting the car, the material with self-heal under the sun’s heat. It will appear like nothing ever happened. This layer of protection must not be evident. In other words, you shouldn’t be able to tell that it’s there. You can’t. The super high-quality satin finish of the Xpel Stealth film we use mimics the Lambo’s satin paint and satin carbon fiber finish perfectly. You can’t tell that it’s there. This is perfect because this very special SV Lamborghini gets the protection it needs to stay looking like new, hold its value, yet not lose any of it’s gorgeous character. 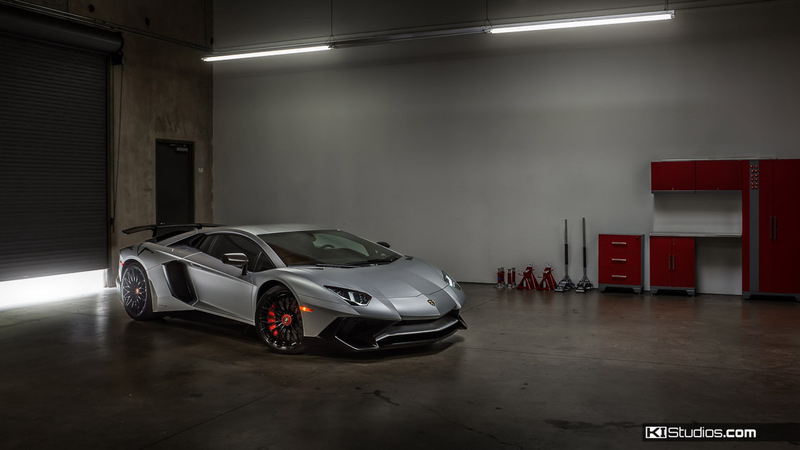 If we can do this for a half a million dollar Lamborghini Aventador SV, we can most certainly do it for your own car. 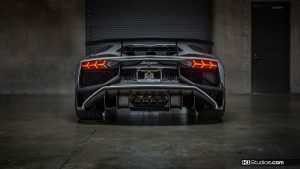 The Lamborghini Aventador Superveloce carries the torch and tradition of the top-of-the-line big Lambo. 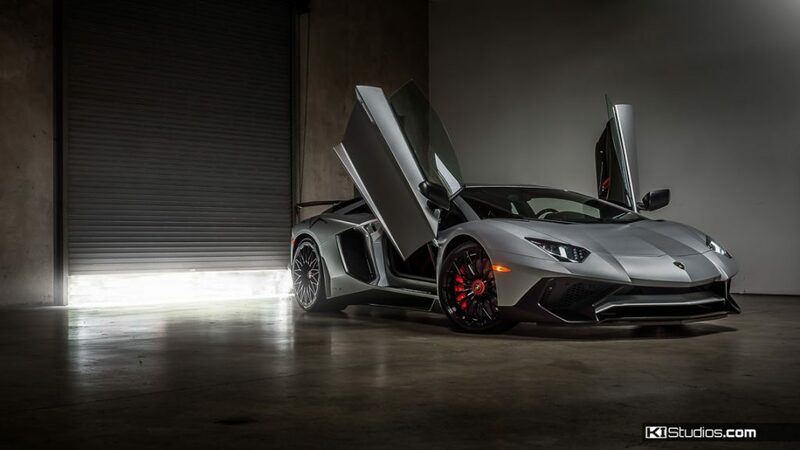 Like its precursors, cars like the Diablo SV and Murcielago SV, the Aventador SV is a Lambo cranked up to 11. 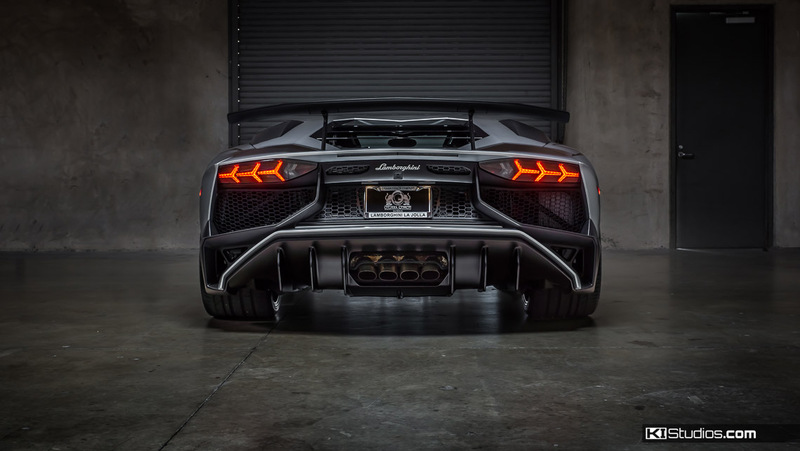 The SV packs 740 hp and a 0 to 62 MPH time of a blistering 2.8 seconds. 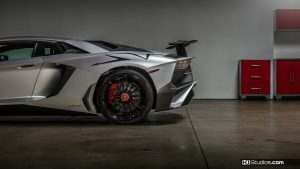 Carbon fiber is used even more extensively on this car as compared to the standard Aventador. Top speed is rated at 217mph. Guess what Superveloce stands for? That’s right. Super fast. A few weeks after we had completed this Aventador Superveloce, we got yet another one but with a slightly darker shade of grey, for the same stealth protection.